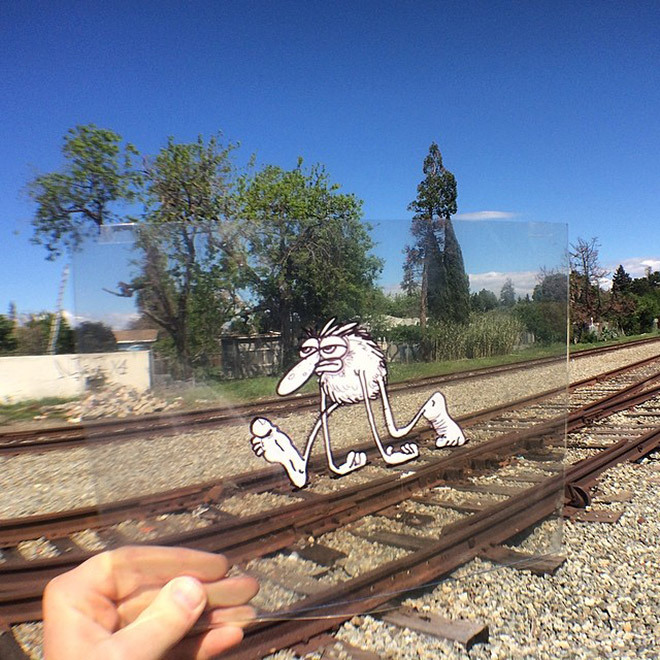 Featured below is a selection of cartoon / reality mashups by stroyboard artist Marty Cooper. 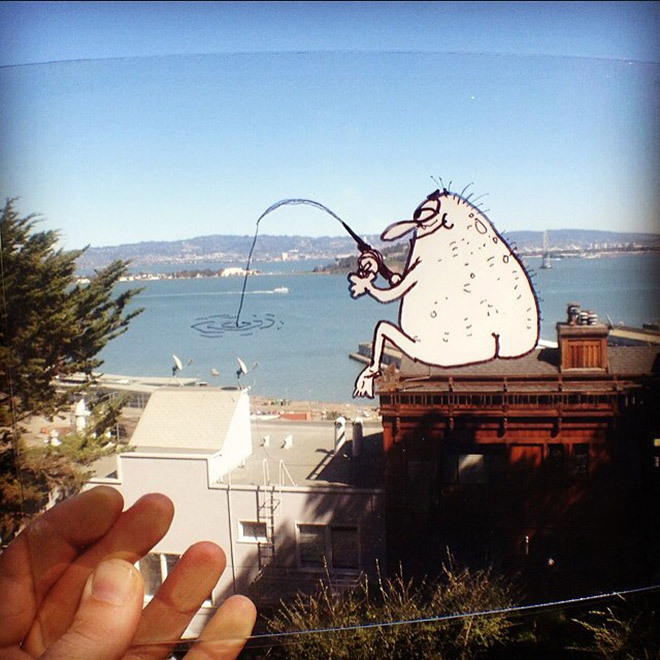 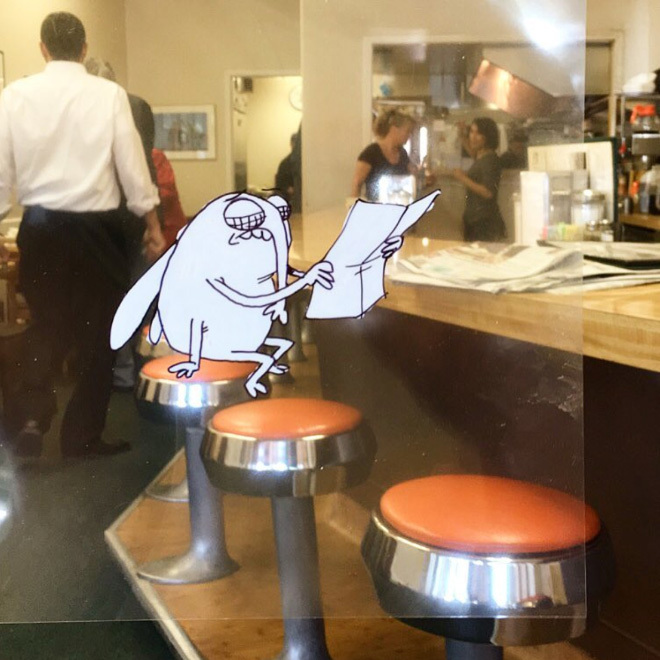 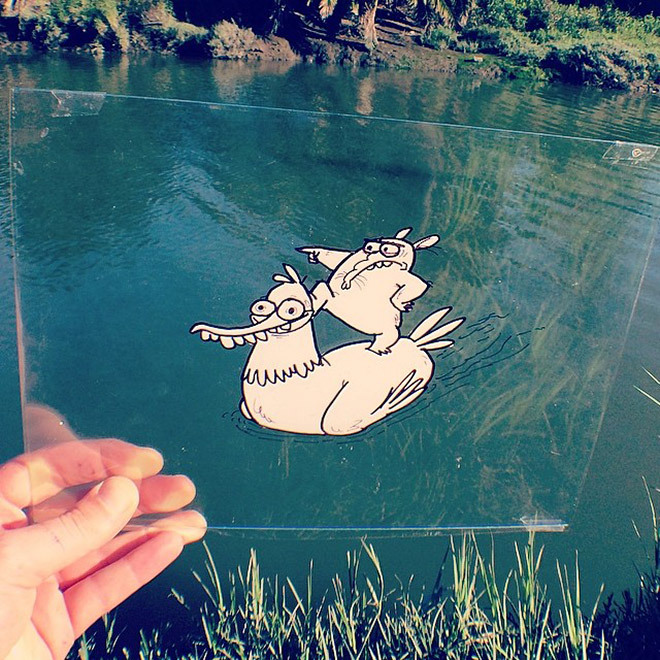 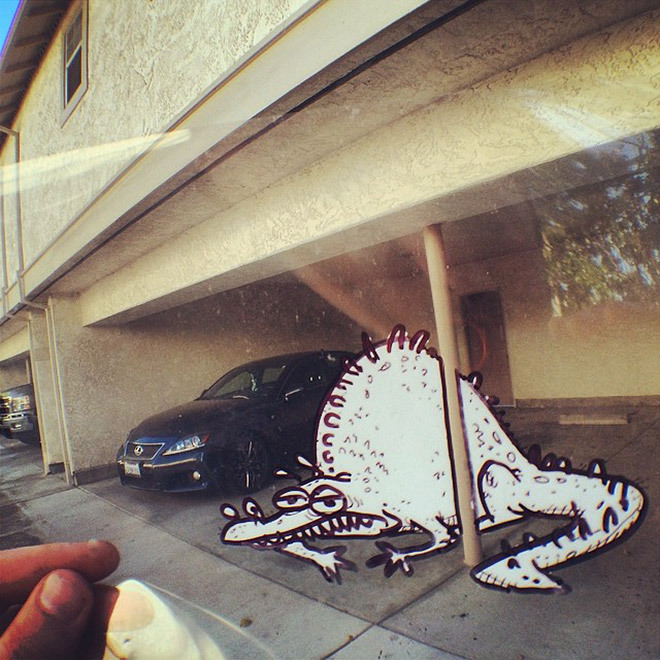 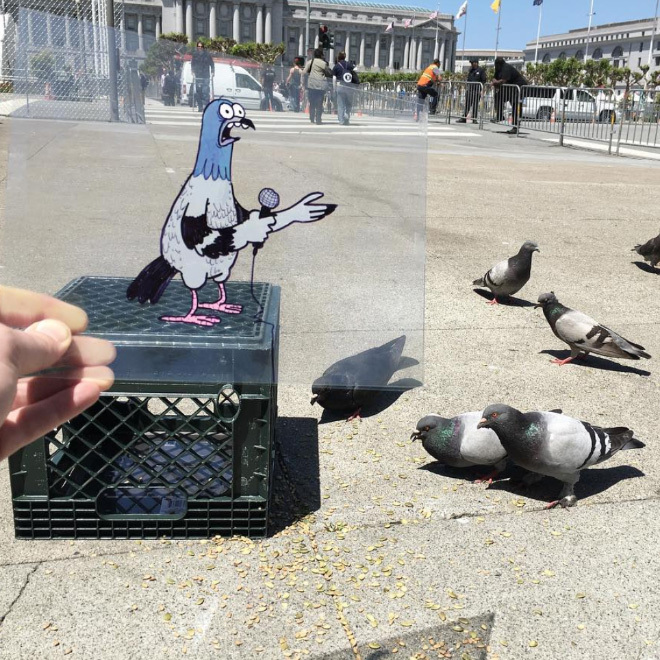 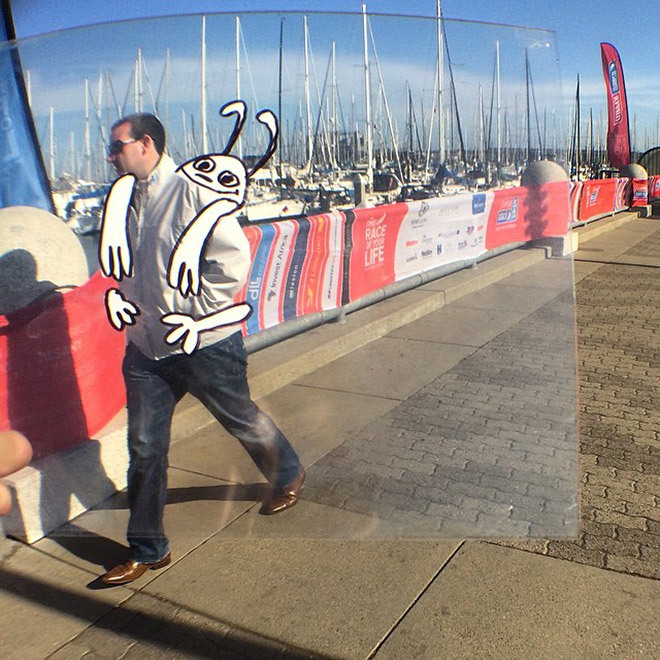 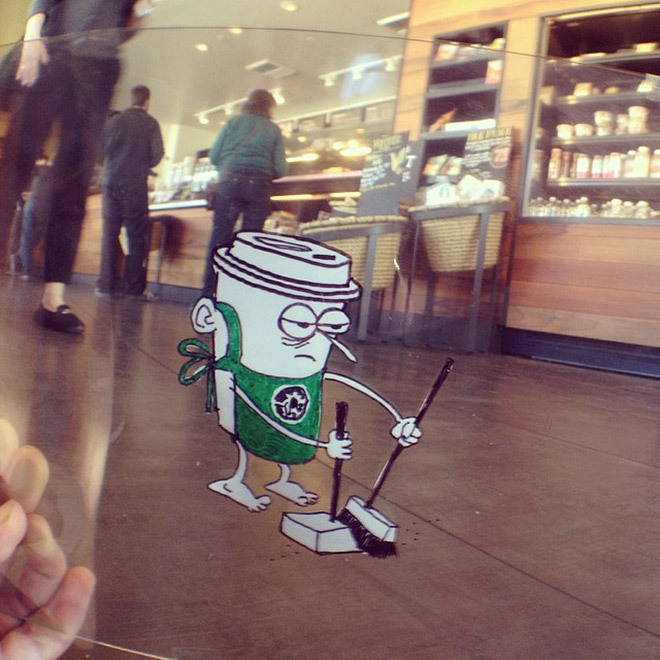 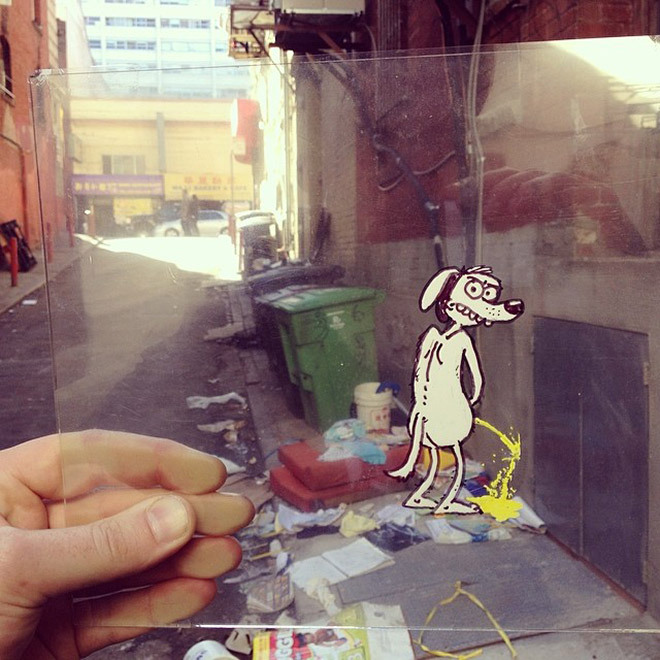 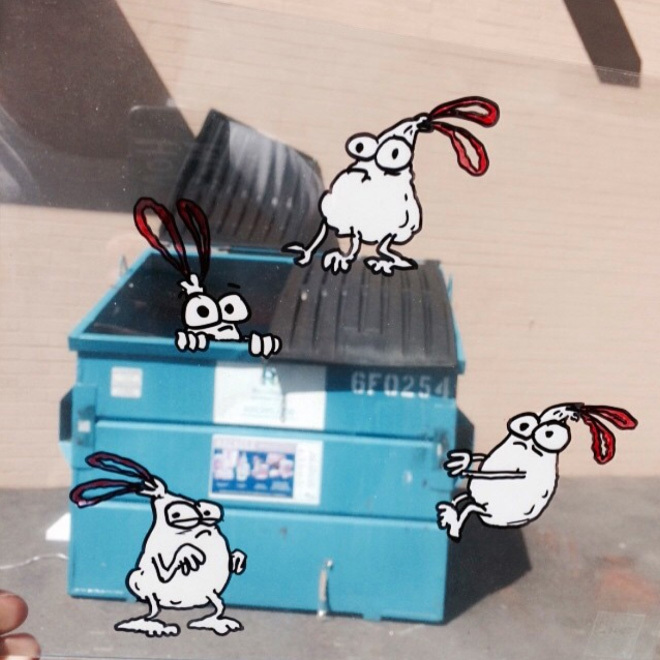 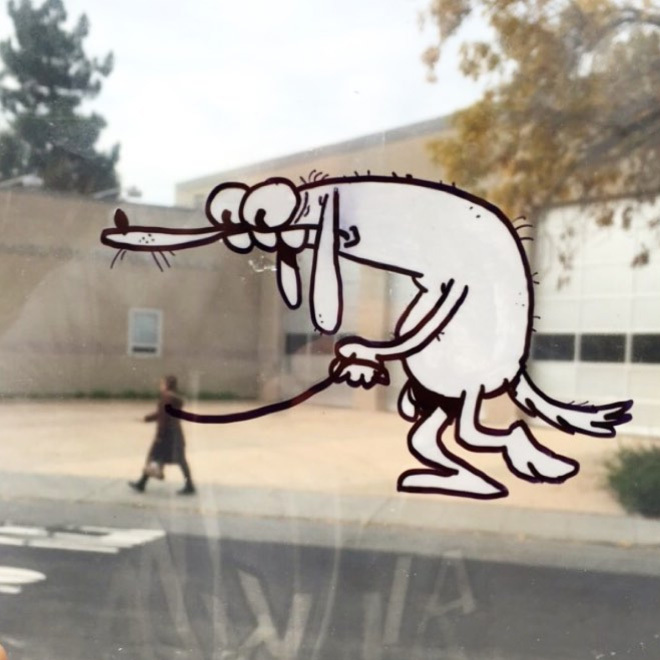 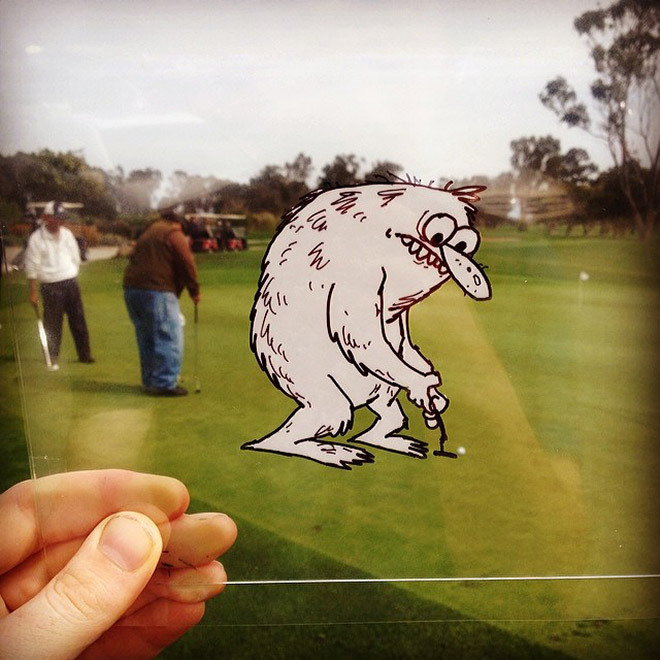 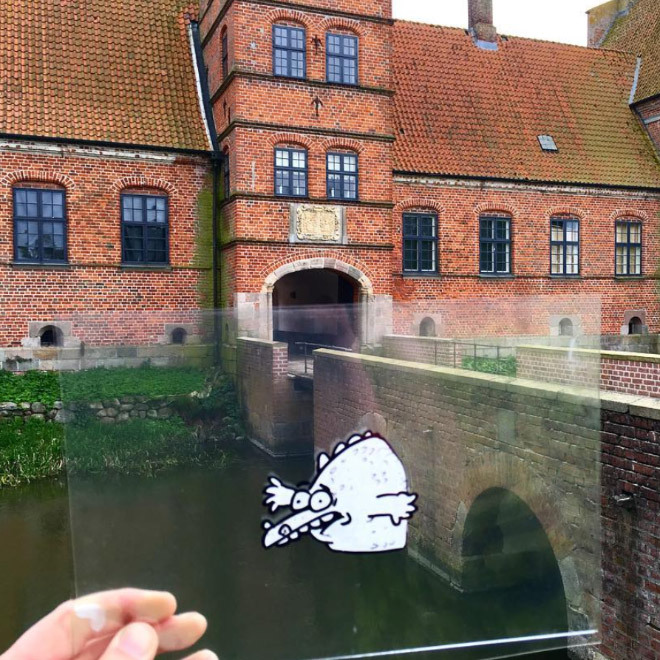 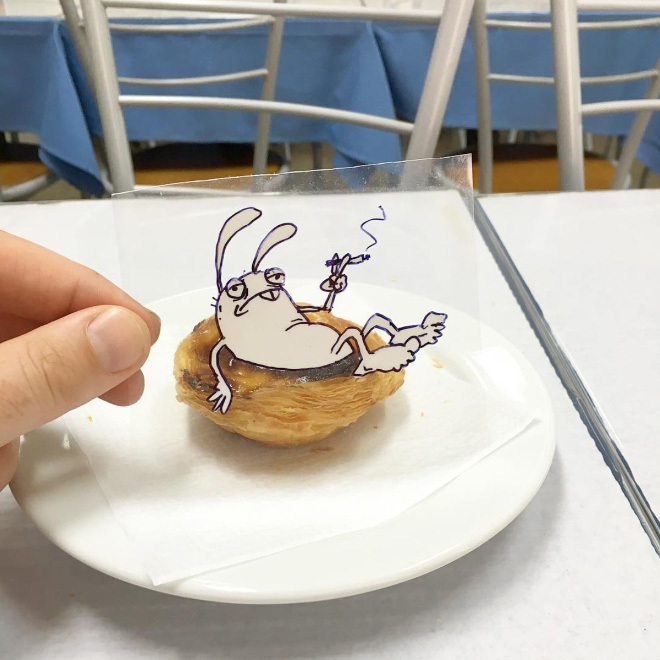 By drawing cartoon characters on transparent sheets of plastic, he can insert them into real-life situations around him and make his characters come to life. 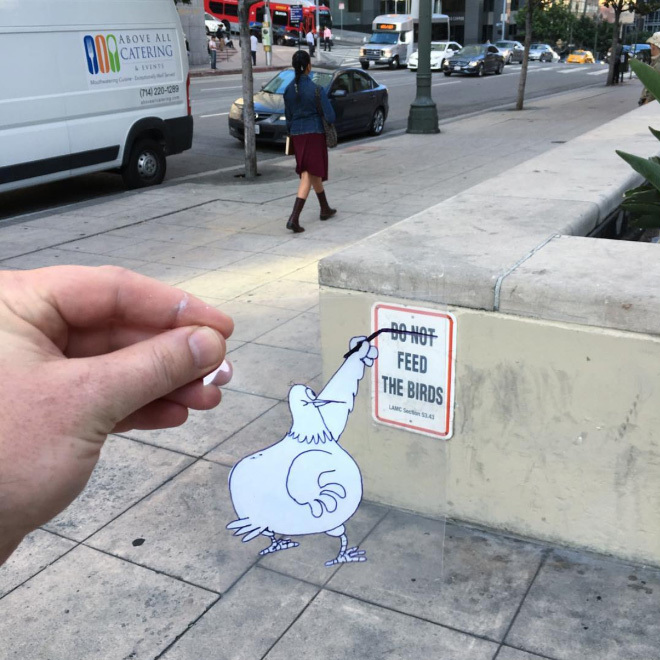 Well. 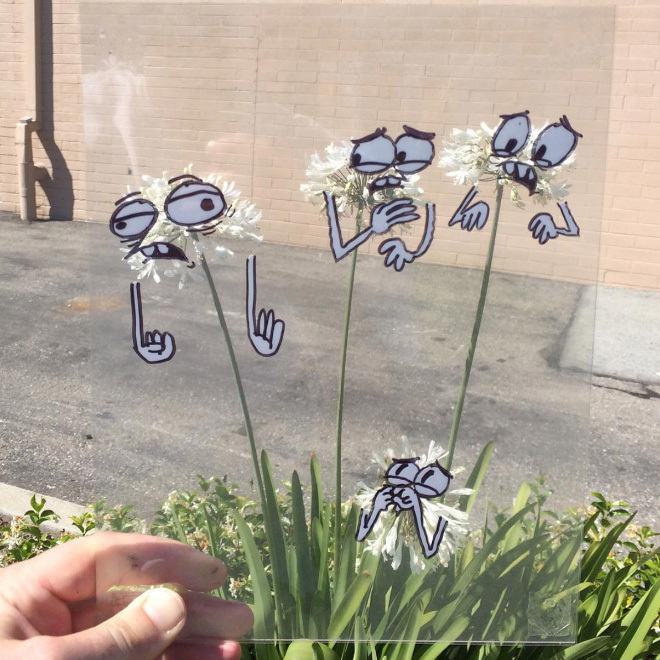 This post goes against my very nature. 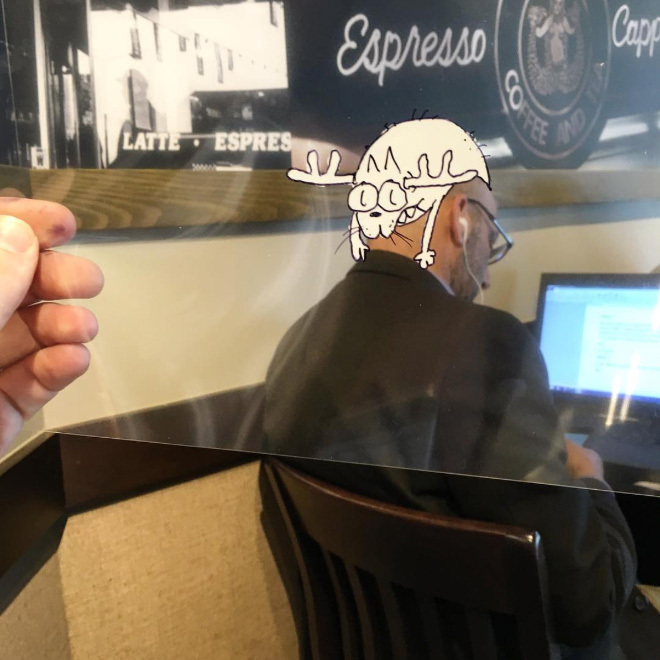 I must admit it was good fun. 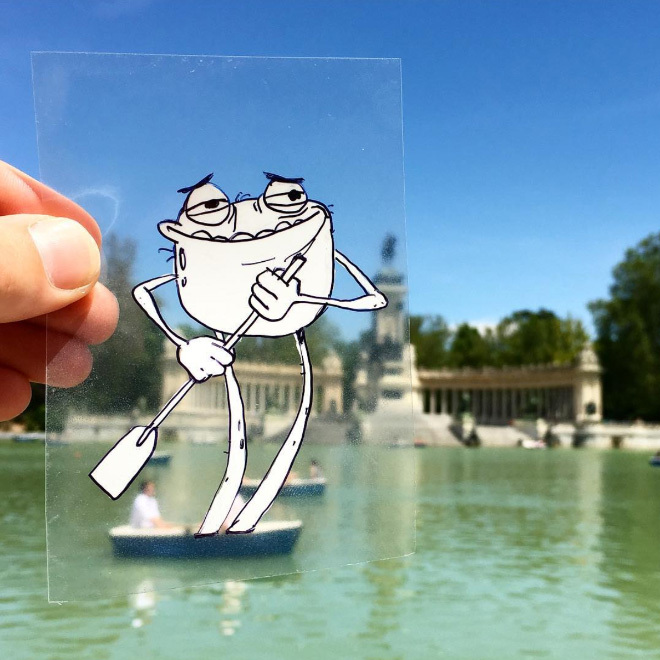 And actually a job well done. 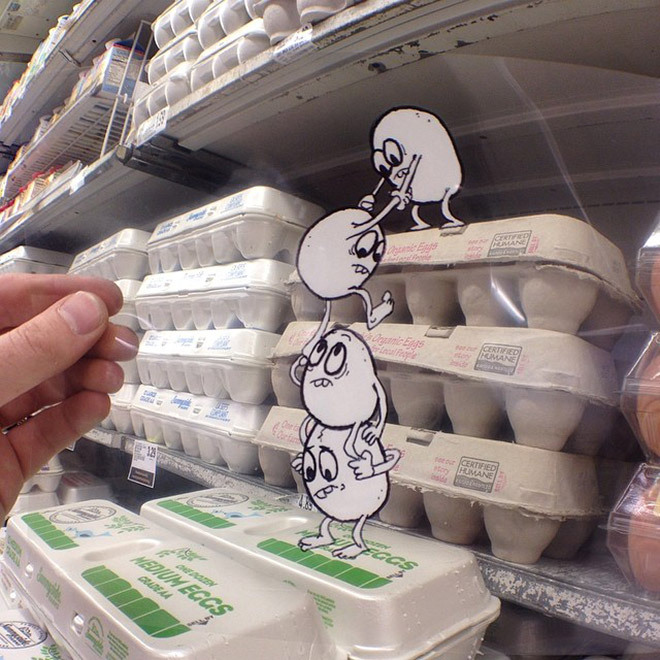 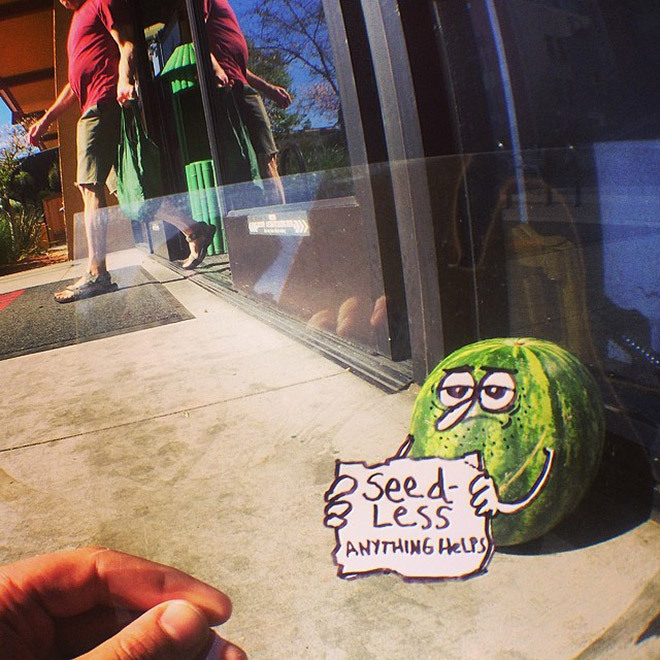 Creative. 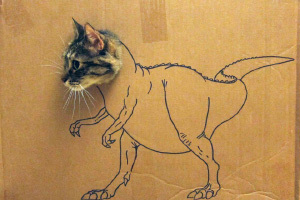 But please don’t make it a habit posting too much stuff without cats.